A Space Odyssey - inspiring, epic, bizarre, huge! We make our own little tribute to celebrate the 50th anniversary of one of the greatest films of all time. Thanks to the space control we can control the feedback of the reverb signal to create infinite reverb tails. In combination with the internal feedback trimmer it is possible to obtain self oscillating crazy sounds. The overall tone can be easily controlled to get a wide range of sounds. 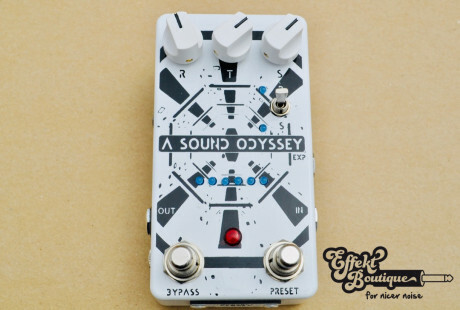 The A Sound Odyssey is a hybrid analog/digital reverb. All the pedal parameters can be saved in one of the 6 available presets (720 via MIDI). Each parameter (reverb, tone, space and expression pedal assignment) is controlled by a microprocessor but the dry guitar signal always stays analog. Programming the A Sound Odyssey is very easy: Just search your favourite setup in the chosen preset and press the PRESET switch during 2 seconds. Your setup is now saved! Just press the PRESET button to navigate between preset 1-6. All parameters of the A Sound Odyssey can be controlled via MIDI control change messages. The number of available presets can be increased from 6 to 720 with the use of program change messages. The A Sound Odyssey has 128 banks (program change messages 0-127) of 6 presets each using MIDI. Assign the reverb, tone, space, expression pedal, bypass, preset up, preset down, preset save... to MIDI messages, and have total control of every detail. Take a look at the user manual to see all MIDI options. The A Sound Odyssey comes with a small editor to make everything easier. You can access your presets, save new setups with the live controls, or play with some of our factory presets. You can assign the reverb and space controls to the expression pedal/CV input. This option can be stored on a preset, and the next time you recall this preset you can control the stored parameter with an expression pedal or CV signal (0-5V). 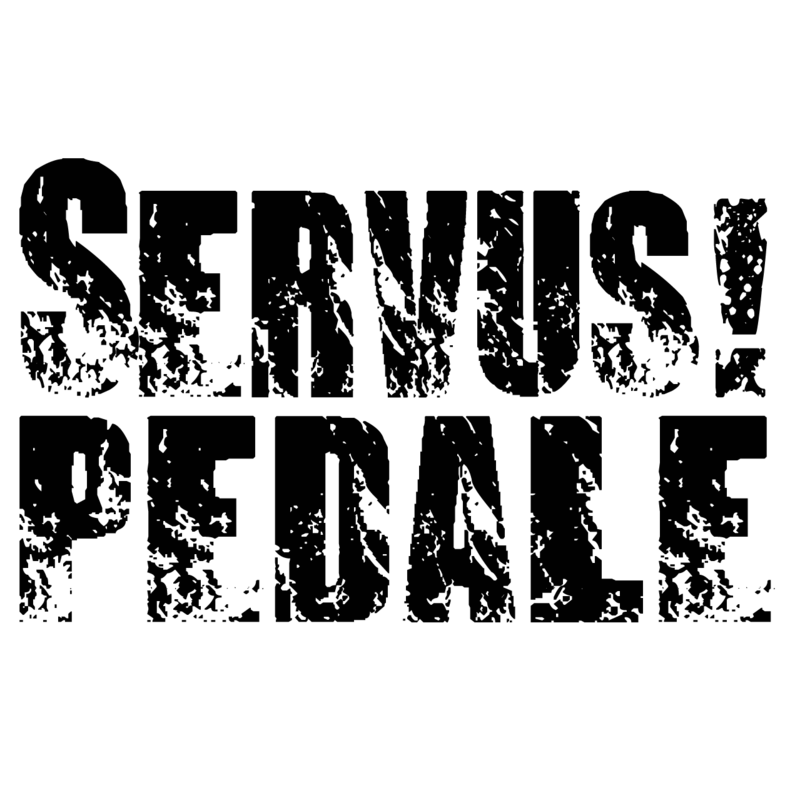 *Know more about compatible expression pedals in the manual. The Relay True Bypass system uses a soft touch switch (no click), a high quality relay and a microcontroller to activate the effect. This type of switches are much more durable and silent than the classical 3PDT switches used on True Bypass pedals.